United Arab Emirates: Business France, the national agency supporting the international development of the French economy will introduce this year a brand new ‘Innovation Corner’ to highlight French products & packaging for the local food industry and three separate pavilions featuring Gourmet products, Ingredients and Equipment: up to 60 French companies are expected at this year’s event. France is making an emphatic statement about its leading position as the home of gastronomy, with its strong presence and unique offerings at this all-important annual trade show. 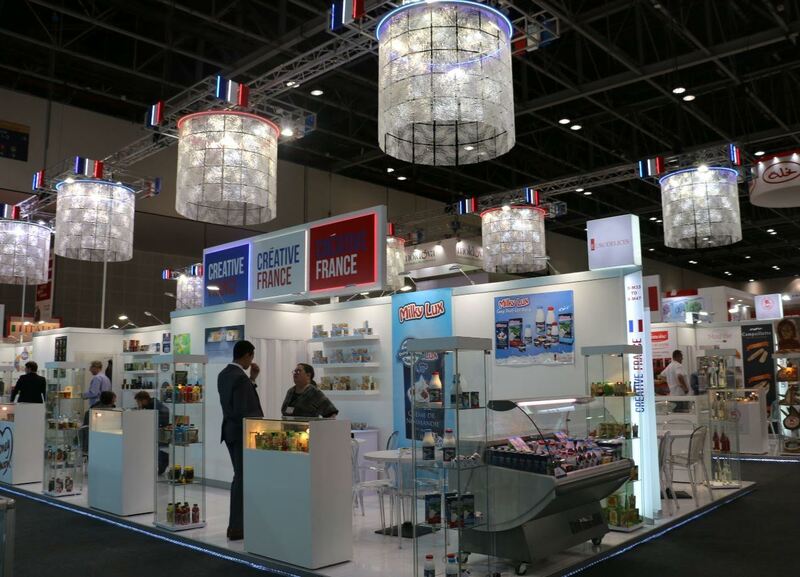 Business France is spearheading France’s participation at Gulfood, across three different pavilions. Like every other year so far 29 years, the French offering at the event will cement its position as one of the finest sources of quality food and related products. Most of the brands that will be participating are well-suited for entering this market – whether it is being halal-friendly in the case of ingredients, or equipment that will be well-suited to the booming food industry production in UAE Middle East region. And for the first time this year, there will be a special ‘French Innovation Corner’ (located in the Ingredients Pavilion) where the most unusual and innovative new products will be showcased. Visitors will be able to discover everything from the latest technologies and packaging ideas, to new flavors, trendy ingredients and healthful foods – highlighting the cutting-edge creativity of France. The Ingredients Pavilion, spread over 308 square meter, will be located at Sheikh Saeed Hall: S1-B36 to B60 and S1-C35 to C64, and will showcase leading French companies from sectors such as dairy and its derivatives (ranging from milk proteins and powders); cereals and grains ; and other ingredients such as eggproducts and fruit preparation. The French Innovation Corner and Business France’s Ingredient Booth will be set in the S1- B60 zone of the pavilion. Exports of ingredients and intermediate foodstuffs from France to the UAE has grown steadily at a rate of 16% year on year, since 2010, to be worth €91,7 million in 2015. The Equipment Pavilion will take over 420 sq. m of space at Zabeel Hall 2 – B14/C13 – Z2-C14/D13. Here, visitors will find the latest technologies in food production, from cooling / freezing tunnels & blast cells, bakery equipment, custom plants and turnkey projects, packaging sterilization system, retorts, boilers, chocolate & sugar coating system. An excellent example of how French products can be adapted to the local market, include the showcase of crepe makers that can be useful for making regag bread. This section will have 30 companies participating. UAE’s imports from France in this sector were valued at around €20,4 million in 2015, with packaging industry gadgets, food processing machines and bakery equipment being high on the priority list. The third pavilion, highlighting French Gourmet Products, will be located in Hall 6, blocks D6-30 & D6-16. An array of food products from 16 different companies will be on offer, ranging from honey, confectioneries, chocolates, cookies and pastries, to premium beverages, seafood and dairy products. Most of these are on the luxury end of the scale, and belong to product categories which are already popular when it comes to French imports into the UAE. France is recognized for its technical expertise and high quality products, particularly in the food sector and this is demonstrated in the fact that imports into the UAE from France has grown by over 213% since 2010. The UAE imports as much as 90% of its food needs, with its total import value totaling €14.2 billion, out of which, France represents €420 million worth; it is the third largest European supplier to the UAE F&B sector. French food industry is the 6th largest, globally speaking. France’s turnover in agricultural products was valued at €67 billion in 2015, making conditions for a strong and sustainable food industry, achieving other worth sales of €130 billion. The Middle East market is gaining increasing importance for France and this year’s strong offering across Gulfood Manufacturing, Specialty Food Festival and Seafex only reinforces that fact, further strengthening trade ties between the two regions. Business France is the national agency supporting the international development of the French economy, responsible for fostering export growth by French businesses, as well as promoting and facilitating international investment in France. It promotes France’s companies, business image and nationwide attractiveness as an investment location, and also runs the VIE international internship program. Business France has recently launched its first international campaign called: “CREATIVE FRANCE”, in order to promote France’s economic attractiveness, strengthen perceptions towards France image and create positive conditions for French economic development.